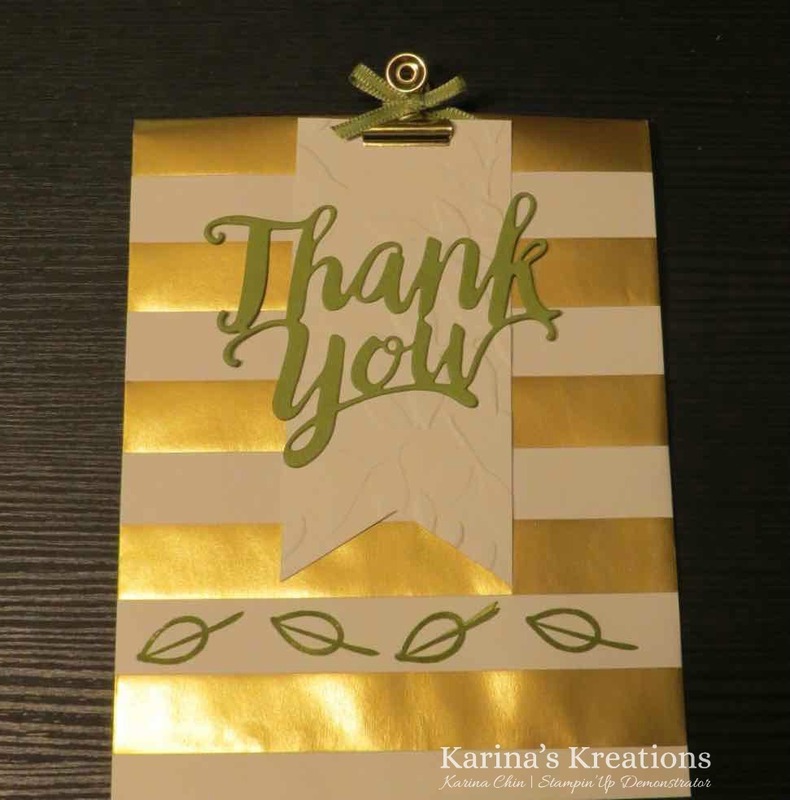 Karina's Kreations: Quick Gift Bag with the A Big Thank You Bundle. Quick Gift Bag with the A Big Thank You Bundle. 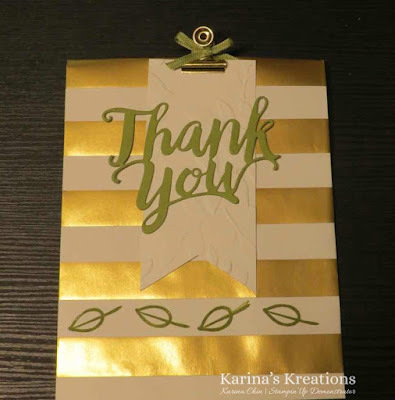 The Stampin'Up A Big Thank You stamp set and coordinating thinlit die is perfect for decorating the Stampin'Up Striped Treat Bags. Did you know you can stamp on these bags? I stamped on the white strip using Old Olive ink and a leaf image from the stamp set. The tag is made with the Layered Leaves embossing folder and the Triple Banner punch. I love how quickly this cute gift holder came together. To place an online order please click on one of the pictures below.